To the unsuspecting individual, Tribert Rujugiro Ayabatwa, is a businessman with interests in the Tobacco industry in various countries. However, over the last few years, allegations of shoddy deals have emerged, prompting the businessman to embark on a PR strategy to sanitize his name. In January this year, Forbes Magazine contributor, Mfonobong Nsehe wrote about the 40th anniversary of Pan African Tobacco Group (PTG), owned by Rujugiro. In the article, Mfonobong attempts to paint a glowing picture. It was not the first time the author wrote about the businessman. While it is journalistically plausible for someone to write flatteringly about Rujugiro, the substance of Mfonobong’s articles contradict the man’s track record. They are rather reflective of longstanding efforts by David Himbara –Rujugiro’s close aide- who has been working tirelessly to cleanse his master’s name. One can hardly believe that the two separate articles by the same author writing for the same publication, with a similar topic and a similar date (January 1st) is a coincidence. It is more plausible that Forbes Magazine is being used in a calculated scheme to cleanse the businessman’s record by portraying him as a benevolent millionaire earning his wealth through honest work that benefits humanity. A source close to both individuals disclosed that ever since Rujugiro was arrested in London in June 2008 at the behest of South African authorities on tax evasion charges involving his tobacco company Mastermind Tobacco S.A Ltd, he teamed up with David Himbara – a man with his own devious track record – and tasked him to use all possible lobbying technics to cleanse his name in international media. That probably explains the flattering articles Forbes has been publishing. Rujugiro, who is of Rwandan origin, has also been working tirelessly to revenge against the Government of Rwanda, which he accuses of failing to shield him when he was arrested in London and in his subsequent problems with the law. While in detention in London, Rujugiro sought but failed to get the government of Rwanda to intervene in his favor by using diplomatic pressure to get him released. The tax evasion charges, which led to his arrest in London in June 2008, were pressed against Rujugiro in November 2006. The businessman and his associates, including his elder son Paul Nkwaya, were accused by the South African tax authorities of a string of customs and tax offenses to the tune of $7.4 million. The government of Rwanda could not have put its credibility on the line in intervening in a clear-cut case of fraud, even if it involved one of its citizens. The case was eventually settled out of court in 2009. One of the conditions of the settlement was that Rujugiro refrains from dealing in tobacco manufacturing and trading in South Africa. However, using proxies, Rujugiro re-established a factory and a distribution network in South Africa as early as 2010 in blatant violation of the terms of the settlement. It is common knowledge in the Tobacco industry that Rujugiro is the beneficial owner of Johannesburg-based United Tobacco Group and United Marketing Distribution involved in manufacturing and trading respectively. Moreover, available public record indicates how, in 2017 Rujugiro paid $440,000 to a Washington based lobbying firm, Podesta Inc., to secure access to U.S. Congress for his PR strategist David Himbara. The idea was to get the US government to “punish” Rwanda. In one of the Forbes articles, the author describes how, between 1996 and 2011, PTG established manufacturing plants in Angola, Uganda, Tanzania, the United Arab Emirates, Nigeria and South Sudan. The company’s latest addition is the processing plant in Arua, Northern Uganda, established in 2013. Looking at the impressive number of industries and the alleged number of local employees, it is easy to believe that the populations in those countries have greatly benefited from Rujugiro’s investments. Yet, in this case too, facts reveal an entirely different story. First, it is important to keep in mind the basic fact that the production of tobacco does much more harm than good to humanity. According to the World Health Organization, the tobacco epidemic is one of the biggest public health threats the world has ever faced, killing more than 7 million people a year, more than 6 million of whom die as a direct result of tobacco use, while around 890,000 victims are non-smokers exposed to tobacco smoke. Moreover, around 80% of the 1.1 billion smokers worldwide live in low- and middle- income countries, where the burden of tobacco-related illness and death is heaviest. These statistics paint a grim picture that can’t be overlooked; Rujugiro’s investments in tobacco significantly contribute to the loss of innocent lives and leads to impoverishment of families since so much money is spent on health care related costs. Who, then, actually benefits from these investments? A closer look also reveals that host countries where Rujugiro has invested do not benefit either. Instead, they are the victims of Rujugiro’s well established expertise in tax evasion. Only well-positioned accomplices that help him maneuver his way around national laws and regulations actually benefit from his corrupt practices. The pattern is clear, across several countries. Apart from the tax fraud case in South Africa described above, Rujugiro attracted attention in other jurisdictions for the wrong reasons. In Nigeria, Rujugiro submitted to the Government a $57 million proposal to set up a factory for the production of “Yes”, “Super Match” and “Forum” brands of cigarettes. The factory was to be built within three years and to be jointly owned by Leaf Tobacco & Commodities of British Virgin Island and Bauro Trading BVI. A concession was subsequently granted to Rujugiro’s company but three years later, no factory was constructed, no production activity, no jobs have been created, and no foreign capital had been injected into Nigerian economy. Rujugiro’s sinister activities were also exposed in two different United Nations Reports. In April 2001, a UN Panel of Experts listed Rujugiro among those involved in the illegal plunder of DRC resources. On December 31, 2018, the midterm report of another UN Group of Experts pinned Kayumba Nyamwasa and the Rwanda National Congress (RNC), which Rujugiro has long been financing, for causing instability in Eastern DRC. Rujugiro coordinates the support to armed groups opposed to the government of Rwanda with top level officials in Burundi. Rujugiro’s Burundi Tobacco Company enjoys a monopoly in the country and it is in Burundi that Rujugiro has perfected the art of tax evasion with the active support of senior government officials. 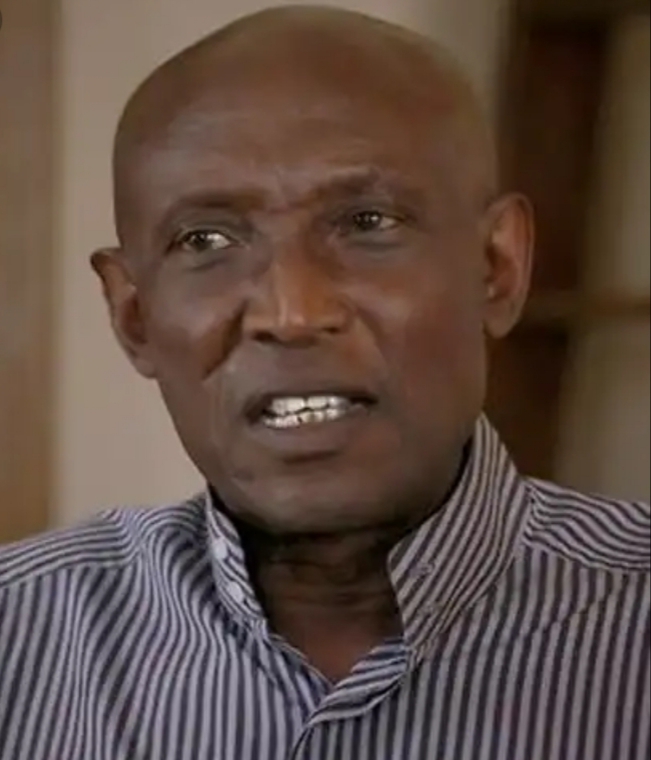 In Uganda, Rujugiro signed a business venture worth millions of dollars with the notorious General Salim Saleh Akandwanaho. In the agreement, General Saleh was given shares in Rujugiro’s Tobacco Company (15%) and in exchange, Saleh agreed to protect Rujugiro’s assets in Uganda and in the region. A source close to the company’s accounts office,reported that Rujugiro has been using equipment located in his Dubai facility to manufacture counterfeit stamps similar to the ones issued by Uganda Revenue Authority. The fake stamps are used to “authenticate” cigarettes manufactured elsewhere. With this technique, he has been able to systematically evade taxes by under declaring sales volume. Only 40% is declared and 60% of the profits are smuggled out of the country. According to an insider, every distributor is instructed to change 60% worth of daily sales from Ugandan shillings into US dollars through local Forex bureaus. The dollars are then smuggled out of the country through a well-established covert network. Insiders estimates that the company evades taxes estimated at 47 Million Ugandan shillings on a daily basis. In all countries of operation, Rujugiro’s companies excel in criminal acts such as under-declaration of production and sales; tax evasion on the undeclared proceeds, money laundering, smuggling and bribing of local officials. Rwanda, however, has been a challenge for Rujigiro. Strong systems of accountability have made it difficult for him to bribe his fellow citizens. He was discovered to have defaulted on his taxes. The “Union Trade Centre”, a building he owned in down town Kigali had to be auctioned by Rwanda Revenue Authority to recover over US$ 1.4million in taxes not paid. The trend indicates that Rujugiro’s businesses across Africa and beyond appear to thrive not because of his hard work, but through various corruption techniques targeting influential and well-connected government officials as well as elaborate tax evasion schemes.